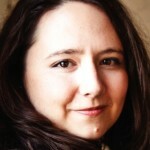 Amanda Coplin talks about her novel THE ORCHARDIST. It’s about a man who takes in and shelter two young women escaping horrible abuse. 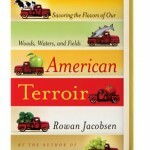 And Rowan Jacobsen talks about his book, AMERICAN TERROIR: Savoring the Flavors of Our Woods, Waters, and Fields. Set in the apple-growing region of Washington State around the turn of the last century, the novel tells the story of an accidental family that’s formed when the orchardist of the title — a solitary man named Talmadge — discovers two young women stealing apples from his trees. They are wild-looking and unkempt — and they are both pregnant. It turns out they have escaped from a situation of unspeakable abuse. Talmadge takes them in and gives them shelter. In caring for them and their offspring, he begins a journey to heal deep wounds rooted in his own past. 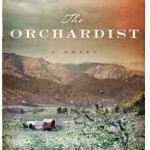 The Orchardist deals with the themes of trauma and healing — and the deep balm brought by the connection between humans and nature, as well as between people. It is a novel of great compassion and power — all the more striking for a literary debut. Terroir could be defined as “the taste of place” — the special taste that place lends to local foods and wines. It’s no accident that the notion has a French name, since the French are champions of terroir. In 1919, the French passed into law the Protection of the Place of Origin for a given product, called AOC. It covers products like wine, olive oil and cheeses — think, for example of the Cotes du Rhone label for wines. That covers a large region — but there are many AOCs that are much smaller. There’s even one that covers only 10 acres of land. But you don’t have to be French to appreciate the terroir of local foods and wines. Rowan Jacobsen has written a wonderful guide to American terroir. Part travelogue, part resource guide and with recipes to match, Jacobsen takes the eager locavore on a tour of regional specialties — apples from Washington, maple syrup from Vermont, a smorgasbord of honey flavors from all different regions and much more in his book, American Terroir: Savoring the Flavors of Our Woods, Waters, and Fields (Bloomsbury, 2010). He answers the question of why place matters — why, for example, honey from the banks of the Apalachicola River tastes like cinnamon and why many of the country’s most intense cheeses are created in one underground cave in Vermont. Jacobsen is also author of A Geography of Oysters: The Connoisseur’s Guide to Oyster Eating in North America, Fruitless Fall: The Collapse of the Honey Bee and the Coming Agricultural Crisis, and The Living Shore. 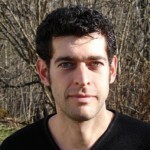 His work has been included in The Best American Science and Nature Writing and Best Food Writing collections. American Terroir was named one of the Top Ten Books of the Year by Library Journal. His latest book is Shadows on the Gulf: A Journey Through Our Last Great Wetland.